So, my cell phone charger broke due to an unfortunate drinking accident (no need to go into details) and I had been fixing it about every week all summer - but last week it finally went ka-put. So, I ordered a new one off of eBay for about 6 bucks, then the bordom set in. 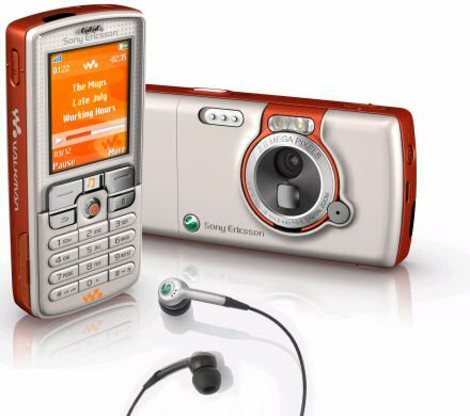 I originally wanted to just replace the housing of my phone (it was beat up a little bit and the screen protector had a scratch on it) - but come to find out, the SonyEricsson K750 is the exact same phone as the d750 and the w800. So, I ordered a totally new housing off of cnn.com for around 35 dollars and it came in today. Basically, my phone was in about 13 parts in a showbox, but after about an hour with my torx screwdrivers, I got it in the new case. To top it off - I put orange paper over the white led's that light up the keys of the phone, so the two outer rows of keys (1,4,7,* and 3,6,9,#) light up orange while the middle row is white. Finally, I flashed the phone with the firmware for the w800i through a web service that cost me 8 euros (about 15 bucks US) Now the phone has flight mode which only uses the walkman and the camera for flying or to save battery, and also a much louder speaker! Total cost was about 50 dollars for almost an entirely new phone (you can imagine how skidish I was to take apart my $400 cell phone (I wanted to do so anyways to clean out dust clogging up the joystick - you'd be suprised how much dust can get in your phone)! There, that wasn't too difficult to get back together now, right? Sooo, with the luminous paper, did you use cellophane or a lighting gel or something different? Did you replace the number keythings or are they somewhat transparent so the orange shines through? Finish conversation and hand the phone back to the kid so they can hang it up. Lol, the keys are made so that the white light shined over them, so I just cut 2 2cm strips that covered the white LED's. The LED's run where you see the orange in the keys (I didn't want to do the whole keypad, because I think the paper would interfer with the typing. Like you, any gadget that is broken is his to tinker around with--his Girlfriend's Mom is even starting to give him things (much to my dismay as it results in my dining room table being full of parts!). He has ended up fixing a few things, but his real enjoyment is in the dismantling! Well... anyways, I figure since I enjoy take crap apart, it makes sense to go into engineering (electrical/computer hardware) If only I could finish the college ap I started earlier this week. I kinda stalled out around the 5th or 6th page where I have to write 3 essays. Oh well, I have till October! I've done a slight, well trick, I guess not a mod with my new Razr. Using 3 different programs and a link cable for a Creative Zen Nano Plus, I make my own ringtones from my library. I start with cutting out the parts with Audacity. Then I use dbPowerAmp (old version that I've had forever, new version costs money to use MP3 encoder) to reduce the bit rate and quality so it can fit and work on my phone. (64kbps, 22KHz) Finally, I use MOBILedit to transfer the tones to my phone (pictures and videos too, it does them too) via the Creative cable. My manager was jealous after I bought it from him (he's dropping his service cause he says he doesn't need it). He said he was paying so much a tone and I was smart enough to create my own. Right now I have a picture of my gaming rig as my background . gotta have a few....things that just weren't needed.